The whole story behind the creation and release of The Girl in the Spider’s Web is actually somewhat disgusting. Series’ creator Stieg Larsson unexpectedly died from a heart attack in 2004, a year before the first novel in the Millennium trilogy was to be published. In the years that followed, the books enjoyed tremendous, widespread success as Larsson’s characters would grow a rabid fan base. Unfortunately for readers, the series would end after the publication of the third and final novel. Or would it? Despite having written a will years prior to his untimely death, it was not witnessed and having not married his long-time partner, his estate wound up in the hands of his estranged father and brother. Despite his partner claiming that Stieg would not want his work continued by another author, Larsson’s family hired David Lagercrantz, a Swedish journalist and crime writer in his own right, to pick up where Larsson left off. On one hand, it’s gross. This new novel appears as nothing more than an attempt to capitalize on the success of Steig’s work by his alienated family. However on the other hand, the duo of Blomkvist and Salander probably do have a lot left in the tank as well as an audience eager to gobble down new stories. 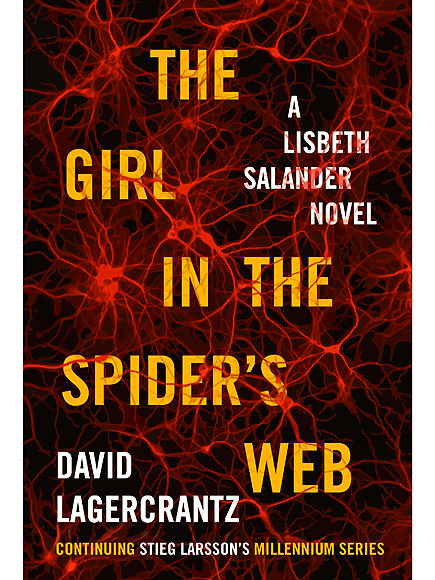 The only question being, is Lagercrantz the right choice to take on these iconic characters or is The Girl in the Spider’s Web nothing more than glorified fan fiction? While I certainly wouldn’t label it fan fiction, I also wouldn’t put it on the same level as Larsson’s work (although, I did enjoy it more than Hornet’s Nest). Lagercrantz can appear to write a solid crime novel, but he’s missing that meandering style of writing that made the original trilogy special. I mean, come on – Blomkvist only made three sandwiches! I expected more from him. My biggest issue is in the lack of Lisbeth. It isn’t until after the first 100 pages that she’s really woven into the storyline and even then, she’s mostly used sporadically. While she’s integral to the central plot, she’s mostly spoken of by peripheral characters rather than having her own voice. The same issue arose when I was reading The Girl Who Played With Fire, where Lisbeth is “off-screen” for a good chunk of the story, but there ain’t no way I’m going to compare the explosiveness of her actions in that novel to this one, they’re not even in the same league. The incredible success of this novel in terms of sales (two hundred thousand copies moved in the first week alone) and positive critical reception should surely lead to a follow-up, although nothing is currently planned, however money is a powerful motivator. September 13, 2015 in David Lagercrantz, Fiction.